projects to give you some experience about the real-world practice of optimisation. Indeed, these projects focus on modelling and implementing models, which are the most important skills to get from this course; only the first one is evaluated during the exam. How to use Julia on the university machines? Thalès compute server address: thales02.montefiore.ulg.ac.be. Credentials (login starting with od_group) will be provided for the second project. To get access to the required tools, first type this command: GUROBI_HOME=/usr/ julia -E "Pkg.add(\"JuMP\"); Pkg.add(\"CPLEX\"); Pkg.add(\"Gurobi\")". Julia is then available as julia. Lab accounts (MS800). An old version of Julia is installed on these computers (0.3), along with the necessary tools for this course (albeit outdated). What online courses do you recommend? You may also have a look at a French portal on operational research, with many interesting links. It also includes a Julia section. An exercise book is being prepared for this course. The current version is already available, and contains the exercises done during the exercise sessions and some supplementary ones. Not all exercises are part of the course syllabus; please refer to the contents of the exercise sessions. Download current version (last edition: June 29 2017 12:41:32). More complete slides. These also contain conic constraints and the Convex.jl modelling layer, which may be useful for the second project. Data for exercise 1. Solution. Data for exercise 2. Solution to part 1. Solution to part 2. Data for exercise 3. Solution. Data for exercise 4. Solution to part 1. Solution to part 2. Data for exercise 5. Solution. Data for exercise 10. Data generator. Solution. Illustration of the NOT constraint (exercise 1): y = NOT x. 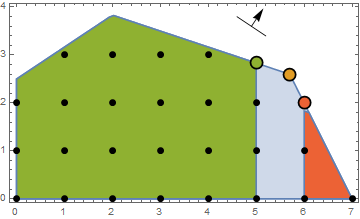 Illustration of the OR constraints (exercise 2), interactive 3D plot CDF? 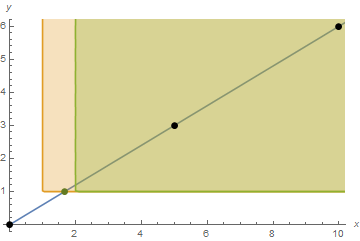 : z = x OR y. Illustration of the AND constraints (exercise 3), interactive 3D plot CDF? 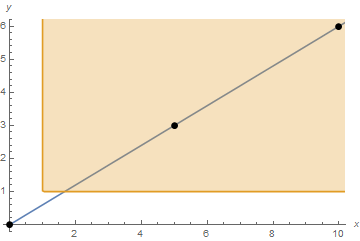 : z = x AND y. 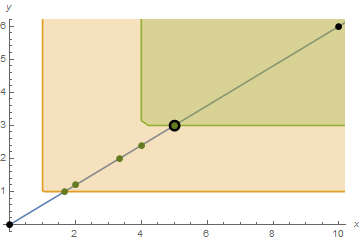 Illustration of the implication (exercise 4): x IMPLIES y. 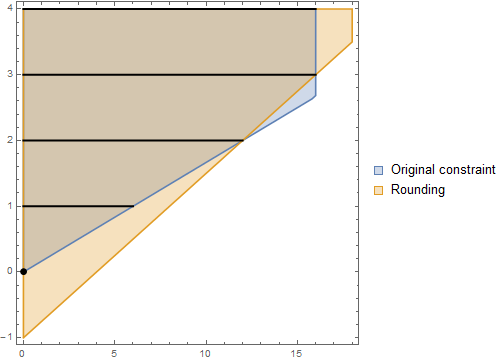 Illustration of the if-then constraints (exercise 5) for M = 100 (tightest choice), M = 50 (too small: some points are not feasible while they should), M = 200 (too large: the formulation is not as tight as possible): IF y = 1 THEN x = 100. 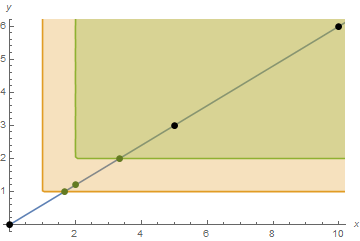 Illustration of the binary activation (exercise 6): IF y = 1 THEN x >= 100 ELSE x = 0. 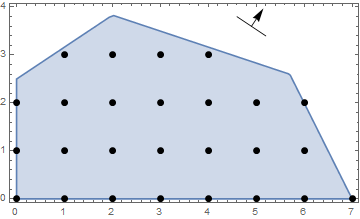 Illustration of a semicontinuous variable (exercise 7): x IN 0 OR [50, 100]. Illustration of a threshold detection (exercise 8): y = 1 IF x >= 50 ELSE 0. 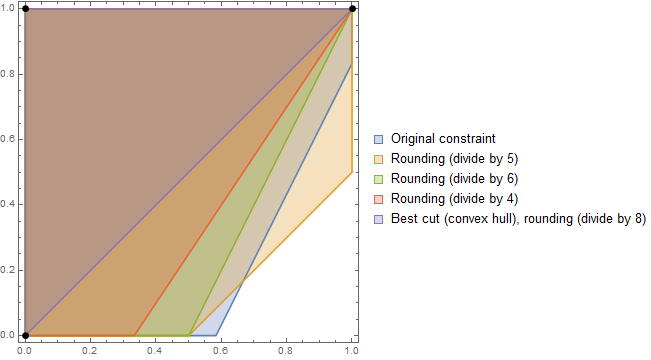 See also: big M and convex hull. Graphical B&B (exercise 1): feasible region, first branching, second branching, third branching, fourth branching, B&B tree. 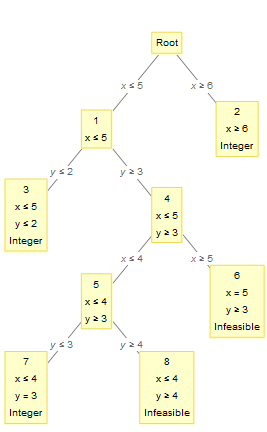 B&B tree exploration node by node (exercise 2). B&B inefficiency (exercise 3): step 0 (feasible area), step 1 (simplex solution), step 2 (after branching), step 3 (simplex solution), step 4 (after branching), step 5 (simplex solution), step 6 (after branching), step 7 (simplex solution), step 8 (after branching), step 9 (simplex solution). Data and solutions for exercise 1.
solving the TSP with subtour elimination constraints added lazily. ECLiPSe Linux and macOS x64. N queens (exercise 3): solution. 11 November 2016 Note Day off. 9 25 November 2016 Cuts and valid inequalities Note No theoretical course on this day: the exercise session begins at 14:00. 10 2 December 2016 Correction of the second project, modelling with flows Note The course will exceptionnally take place in the R75 room. 9 December 2016 Note No exercise session. How to open CDF files? You may use Mathematica (the university offers a license for students) or the CDF Player. The project must be submitted on the submission platform. The platform is not yet updated for this year. Submissions will be accepted till 4 November, 2016, 23:59:59. An implementation of a solution is available. a code skeleton that implements one possible public interface for your program. Hint: a working version of Julia is available on the MS800 machines, albeit far from recent. It is not necessary to follow this procedure on those computers (including Gurobi with a network license). This version of Julia should be sufficient for most of your work (except the new JuMP syntax or lazy constraints). Julia also has a more comfortable way of working than a text editor and a console: Juno is a recent IDE for Julia (there is no need to reinstall the packages within Juno), there is also an experimental Eclipse extension for Julia. 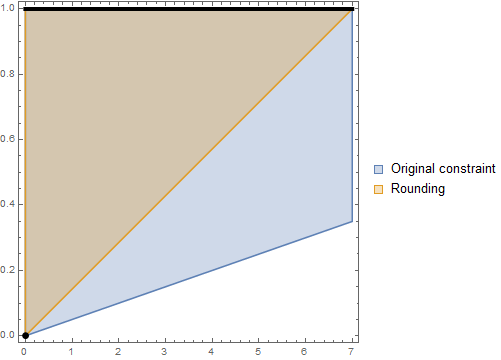 What are the differences in syntax between JuMP 0.12- and 0.13+? Between the versions 0.12 and 0.13, JuMP changed its syntax. Using the old syntax still works with the new versions, but emit warnings; however, the new syntax does not work with the older versions. The difference is important, as an old version of JuMP is installed on the MS800 machines: only the old syntax works there.